Hi everyone! 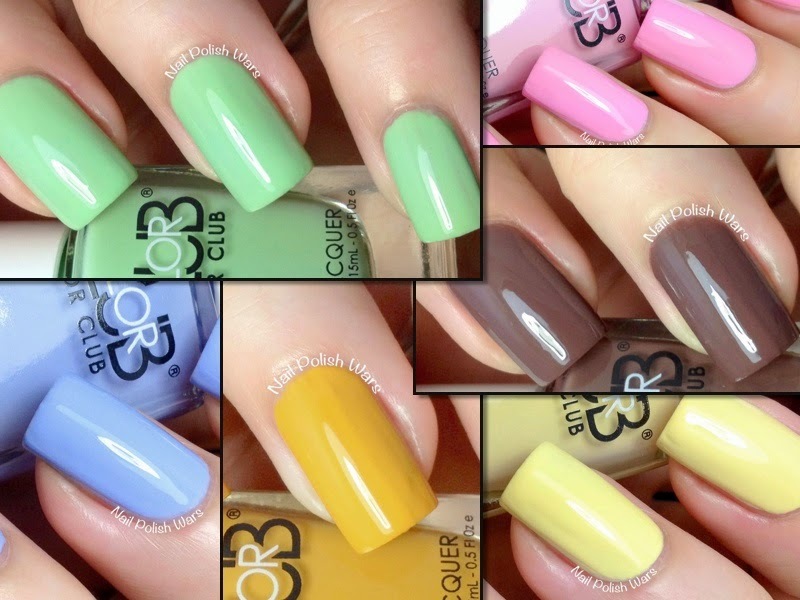 I have the new Paris in Love Collection from Color Club for you today! Fondue for Two is a milk chocolate creme. The formula was smooth and easy to apply. I really liked this shade a lot. It's often hard to find a nice pastel toned brown. Shown is two coats of Fondue for Two. Holy Chic! is a lilac creme with a slight blue undertone. The formula was smooth and easy to apply. I could not possibly love this shade more! It's just stunning!! Shown is two coats of Holy Chic!. Je Ne Sais Quoi is a muted marigold creme. The formula was smooth and easy to apply. I was surprised at how much I liked this one. It has a great sunflower quality to it! Shown is two coats of Je Ne Sais Quoi. Je T'aime is a soft pink creme. The formula was smooth and easy to apply. I really adore this one! It's just a perfect pink!! Shown is two coats of Je T'aime. La Petite Mint-sieur is a soft pistachio creme. The formula was smooth and easy to apply. 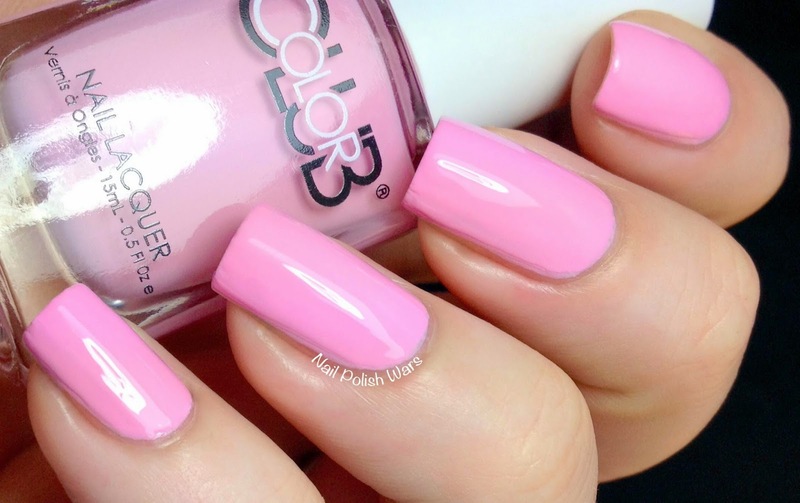 I just love this shade! It's not over the top, but it draws the eye beautifully! Shown is two coats of La Petite Mint-sieur. Macaroon Swoon is a soft yellow creme. The formula was smooth and easy to apply. I love how muted this pastel shade is! Shown is two coats of Macaroon Swoon. You can find these and other great Color Club shades at their storefront here, and be sure to check them out on Facebook for all of their latest updates and collections. Those are nice. Some pretty cremes. Nice to see Color Club cremes getting the love! I know their holos are in much demand but I don't often see reviews on their cremes. Thanks for the beautiful photos! These are all really pretty! I haven't been super impressed with Color Club lately but these seem like they're all worth owning! Especially the two yellows. Great swatches! I love colors like these! I have been looking for something like this.nice artical great contant to be read in the entire artical got expand knowledge in this regarding feald to be apply in my antird thinking.Thanks for post this helpful post i need this post from more days. and i get so excellent massage. Wow I must have been out of the game for a while, didn't know color club changed their logo! Ooh, these are gorgeous. How does Je Ne Sais Quoi compare to Almost Famous? How did I miss this collection? I would wear them all! Great swatches, as usual!